Well, maybe it’s not impossible…if you homestead…..using heirloom seeds…..no chemical fertilizers….no chemical insecticides. Or live near anyone else who does. What I’m talking about is eating like the ancestors – if your great-grandmother didn’t need it, neither should you. The sad reality is that, if we shop in a grocery store, we will have a very hard time eating like our great-grandmothers – even if we buy all of the ingredients that sound the same as what she used to use. Why? There are lots of reasons and Monsanto isn’t behind all of them. Let’s start with the actual soil. Industrial farming uses chemical fertilizers and insecticides that just weren’t around 100 years ago. Even so, soil on those farms is less nutrient rich than soil on organic farms. That results in vegetables that are also less nutrient rich. The plant cannot give to us what it can’t get from the soil. Next, there’s the water. I’ve flushed unused meds down the toilet and thought nothing of it. You probably have, too. Millions of us have. What we actually did was to put those chemicals out into the ground water*. Neither Sewage treatment nor boiling will remove them. Millions of pills down the commode result in pharmaceuticals in the tap and bottled water we use to drink, cook, brush our teeth, make ice cubes and water our crops with. While the amounts are small, the chemicals are still there and the cummulative effects are really unknown. Then there are those monstrous GMOs. Genetically Modified Organisms are not the result of traditional cross-breeding. This ain’t Gregor Mendel, y’all and we’re a lot closer to the Island of Dr. Moreau than we are to an Austrian monastery. GMOs are plants whose genes have been engineered to include DNA from bacteria and viruses. GMOs have been linked to disease and the alarming increase in the incidents of food allergies** to the extent that European consumers refused to buy the products once labeling was required. No demand forced food companies stopped selling them. In the US, no such labeling is required. We don’t even know we’re eating the Franken-est of Franken Foods. Finally, there are growth and production methods. Veggies are picked before they’re ripe so that they can be shipped, decreasing their nutrient content. Grains like modern wheat are highly processed to increase their shelf life. The most nutrient rich parts of the wheat are processed out, including the bran and the oils, which will go rancid, causing spoilage. Whiter flour is better for the producer, but worse for the consumer. We can buy organic, which has only a small risk of some contamination just from wind and water movement. Crops are rotated and the soil fertilized using natural methods. Heirloom seeds are used for plants that are allowed to ripen in the soil. It’s a great option…..if you can afford it. Even when we think we’re eating healthfully, we may not be. Sadly, the FDA, the organization we trust to make sure our food is nutritious and safe, fails us on a monumental scale. As in everything involving politics, there are lobbyist and multi-national companies paying for air time (and even board spaces in the past) with the administration. It’s all about making a buck. To protect our foods, we have to educate ourselves, buy organic, grow our own or at least make the best choices we can within our budgets. 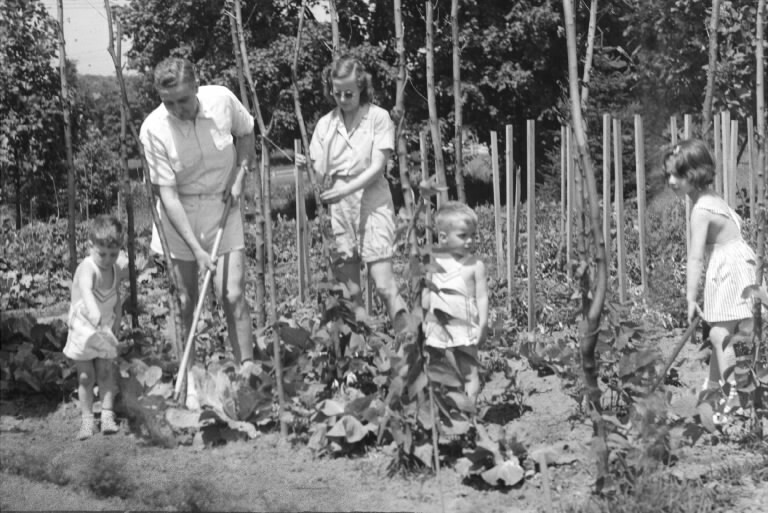 I vote we bring back the Victory Gardens! And this is just the plant side of things! We haven’t even talked about the animal side with growth hormones, antibiotics and the rest of man’s meddling. We’ll do that tomorrow! I always enjoy your posts and the one today is filled with thoughtful wisdom. I would like to add that if enough people demand safe, healthy foods, we might see some changes take place. I’ve recently started my transition to organic and have to say that knowing what I eat is worth the extra costs. And to be honest with you, my grocery bill doesn’t seem to be as high as I expected. I am considering reducing the meat I eat more regularly – thinking that the extra cost will be recovered. Thanks, Kathy! I hadn’t really thought of reallocating grocery monies. That makes a lot of sense!